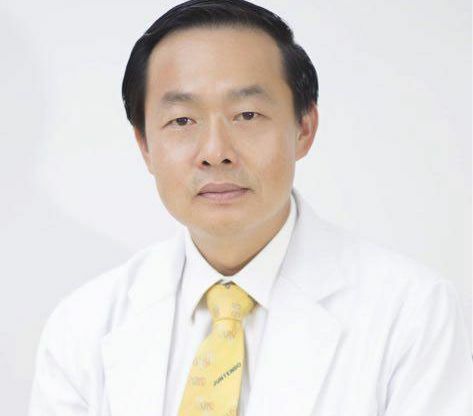 Graduated Diploma in Dermatology in 1997, Bangkok, Thailand. Certificated of Fellowship Training in Cutaneous and Laser Surgery in 2008, Bangkok, Thailand. Certificate of STD/HIV/AIDS Comprehensive Training in Dallas, Texas, USA. Honorable Diploma in STD/HIV/AIDS, Bangkok, Thailand. President of Cambodian Dermatological Society, 2012. Certificate of Attendance the 37th Annual Meeting of the Japanese Society for Investigative Dermatology. Certificate of Attendance the 9th Asian Dermatological Congress 2013,Hong Kong. Certificate of Attendance Dermatological Laser and Surgery in Asians 2007, Singapore. Certificate of Attendance Dermatology update 2006, National Skin Center, Singapore. Certificate of Attendance Dermatology update 2004, Singapore. Certificate of Attendance 14th Conference of Dermatology, Kuala Lumpur, Malaysia. Certificate of Attendance, American Academy of Dermatology Annual Meeting, San Francisco, USA. Certificate of Attendance, American Academy of Dermatology Annual Meeting, San Diego , USA. Certificate of Attendance, 20th World Congress of Dermatology 2015, Vancouver, Canada. Since 1997, Cadau has been the kingdom’s most trusted skin specialist. From the latest laser technology to the most advanced skin product range and stae-of-the-art clinic, we have all you need for your complete skin care solution. Diagnosis and treat medical skin, hair and nail problems. Improving the health of the skin.